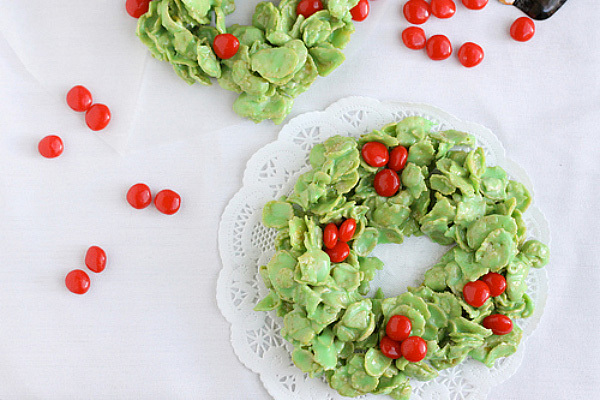 Making your own wreath can be simple and very cheap, especially if you make one from food. These edible arrangements can be made with your favorite foods, and all cost less than $25. Take that, Joss and Main! 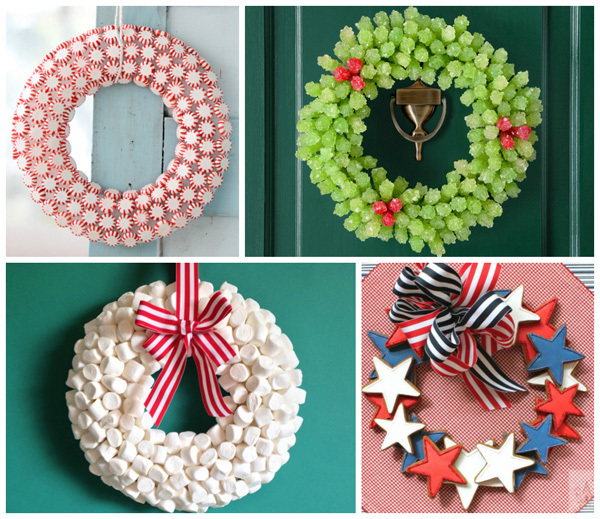 These amazing wreaths can be made in less than an hour and only cost about $25 to assemble. Plus, they can be made with things you probably have in your pantry. These make great rainy-day crafts for bored kids and can be fun gifts for teachers or friends. 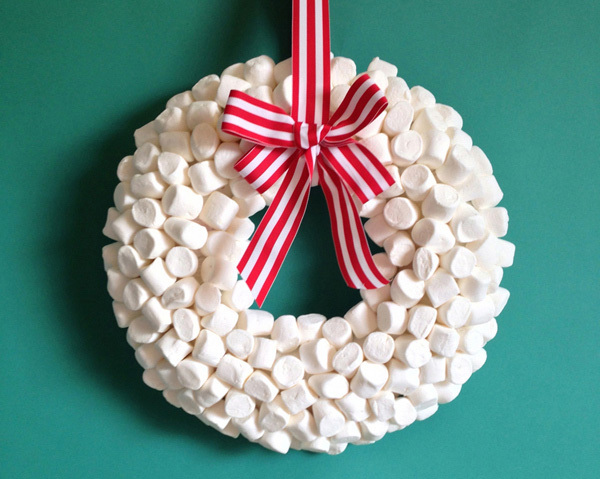 There’s nothing better than candy, except maybe a wreath made of candy. Not only is this pretty to look at, it gets rid of all the candy in your pantry, so thank us when your skinny jeans fit again! Who puts their marshmallows just in hot chocolate anymore? We don’t, we make wreaths with them instead. 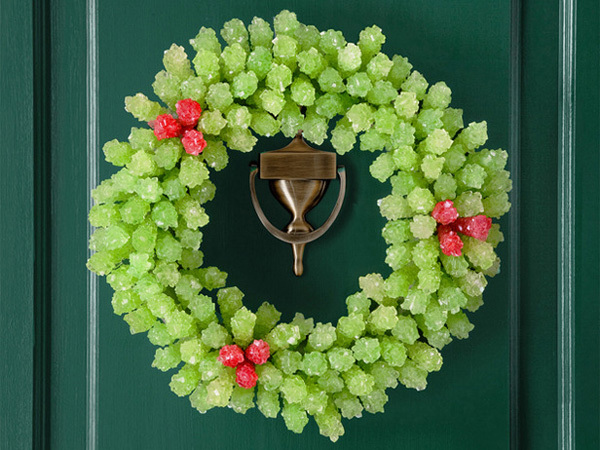 This fluffy wreath is a fun and pretty way to accent your door or wall for winter. Not all wreaths have to hang on doors or above mantles. These adorable bite-size wreaths are great for holiday place cards and can be a fantastic craft for crafty kids. 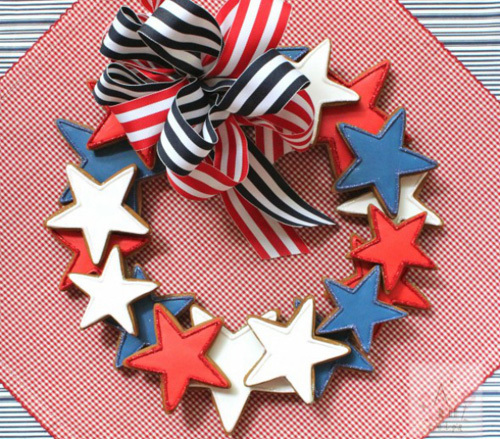 There’s nothing more patriotic than a red, white and blue wreath made from sugar cookies, right? We didn’t think so either. This fun and festive wreath is perfect for the Fourth of July, Memorial Day, Labor Day and Veterans Day. 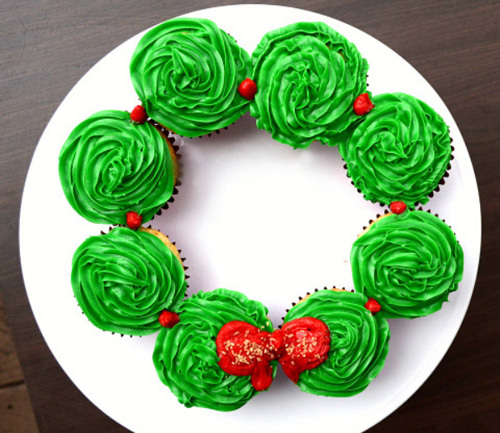 This wreath is made entirely out of cupcakes and makes a fabulous centerpiece for any holiday brunch. Plus, you can completely customize the frosting color and add-ons to make this appropriate for any season. 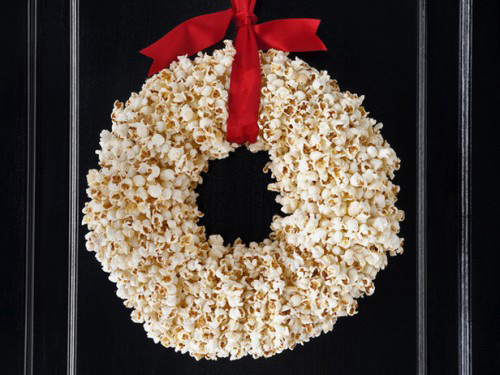 Your holiday wreath has never looked so fancy. 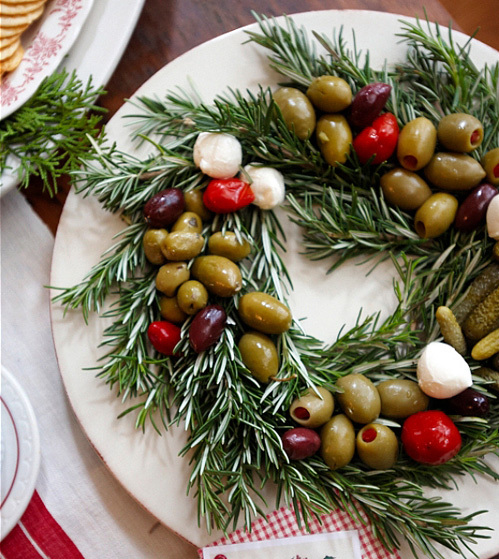 This olive, green herb and mozzarella wreath is the perfect accent for your dinner parties or book club. Not only does it look elegant, it’s pretty cheap to make, too. 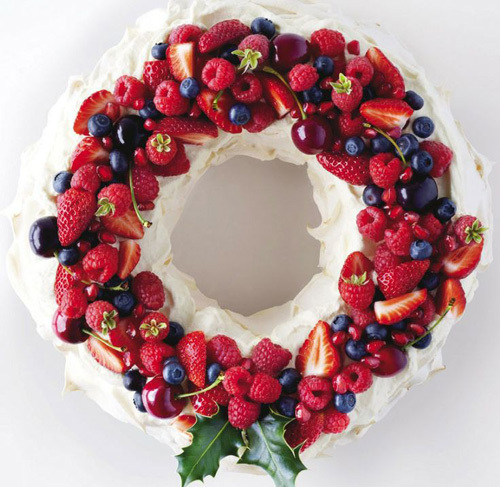 Forget finger sandwiches, vegetables, cheese or charcuterie platters for your party, and serve up this festive wreath instead. 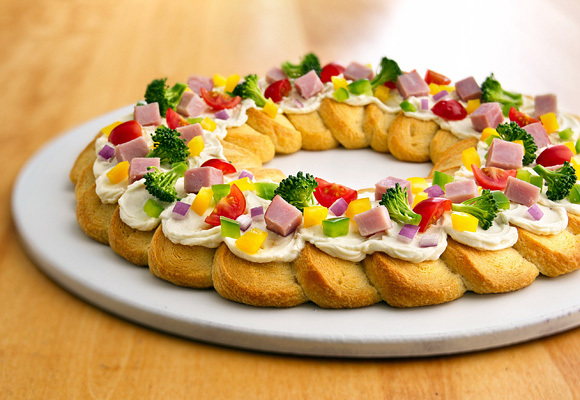 Made from crispy baked crackers, cream cheese, ham, turkey and vegetables, this delectable wreath tastes as good as it looks. 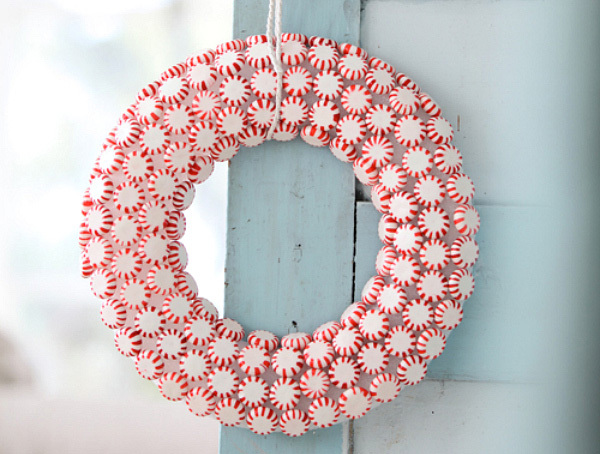 Mints aren’t just for bad breath anymore, they also make fabulous wreaths. We love this adorable mint wreath made by Dreamy Whites. This is a fabulous wintertime accessory for your wall or door. 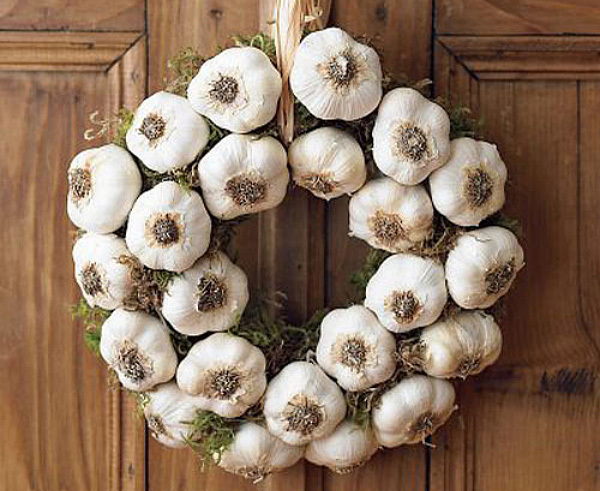 Whether you’re trying to keep away vampires or just want some fun, rustic decor, this garlic-bulb wreath is one of our favorites. We love the country charm it adds to this wooden door, don’t you? If you don’t love garlic, sub in your favorite bulb-type vegetable, like artichokes or turnips. We don’t know about you, but this would be the hardest not to eat, don’t you think? It may take a bit of time to assemble (and make a bit of a mess), but this fun wreath is a great summertime accent to your door or wall. Plus, it’s a fun craft for kids. This is easily one of the most beautiful wreaths on our list, and it looks absolutely beautiful as a centerpiece for any dinner party. Use whatever berries are in season to save on the cost, but we love the look of the strawberries, blueberries, raspberries and cherries.